Despite the endless lobbying and increasingly desperate efforts by oil and gas companies to remain within the current paradigm, almost everyone on the planet accepts that renewable energies are both urgently needed and our only chance at a sustainable future. Wind power is constantly in the news – not least because of the ongoing furore over aesthetics and placement, but what of solar power? How has the industry evolved? Well let’s start with the raw economics. The takeup of solar power both in the public and private sectors was relatively slow during the 1980’s and 1990’s as the ratio of costs to energy produced by photovoltaic systems was still relatively low. In recent years however, there has been an exponentially increasing turnaround of that dynamic. The cost of photovoltaic energy has now fallen well below that of nuclear power, and with systems lasting up to 4 decades and requiring no fuel over that period (let alone toxic landfills), both small scale and large scale projects are becoming increasingly attractive on a financial level alone. Environmental morality is all well and good – but as we all know – only money talks. Costs have plummeted. Energy return ratios have rocketed. Advances in storage have made power reservoirs of solar energy possible and fascinating new pilot schemes to incentivize the use of solar power are multiplying. 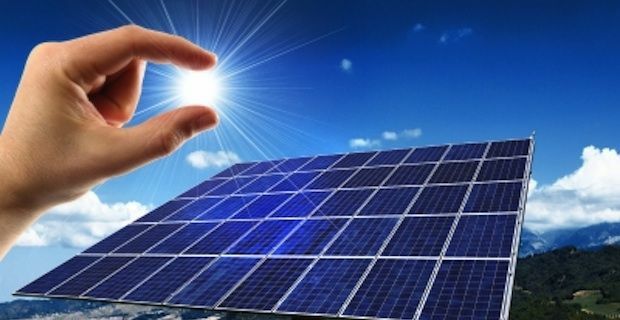 Private companies such as Martifer.com O&M are pioneering an ever broadening spectrum of solar powered possibility. Providing both for individual householders craving sustainable energy independence and for vast solar farms, working across the various sectors of the solar industries allows for economies of scale as research for huge projects filters through to individuals. New breakthroughs are consistently rolling back the boundaries and finding new ways to process, store and distribute solar energy are key to all of our futures. With governments so often at the mercy of Big Oil – it has been private industry at the vanguard of the renewable revolution in solar power.